The bacteria Streptococcus causes strep throat. The name may sound funny, but if you are experiencing any of the symptoms of strep throat, you probably aren’t laughing. Streptococcus has many symptoms, ranging from sore throat to nausea and vomiting; if left untreated, it could lead to more serious problems. Strep throat treatment usually involves antibiotics. If your sore throat lasts for more than a few days, or is accompanied by any other symptoms, don’t wait to get treated. FastMed can provide you with strep throat treatment to have you feeling better in no time! 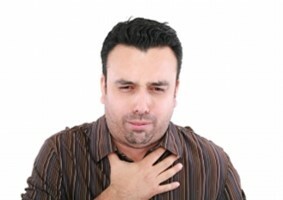 Check to see if you are experiencing any other symptoms that typically accompany strep throat. Follow up with a rapid strep test. The rapid strep test takes as few as 10 minutes. If the results are positive, you have strep throat. Sometimes the rapid strep test will come back negative, but that doesn’t necessarily mean you don’t have strep throat. False negatives are possible, and your doctor may recommend a backup culture just to be certain. Once your doctor has confirmed you have it, he or she will likely prescribe you an antibiotic. Antibiotics can reduce the severity and duration of your symptoms, as well as the length of time you are contagious. Antibiotics also prevent strep throat from becoming worse and causing serious complications. FastMed can diagnose strep throat in only 10 minutes! If you think you have strep throat, just walk in to your local FastMed Urgent Care. We’re open 7 days a week, 365 days a year. If you still have questions about strep throat treatment, check out our Health Resources Center for all of your health-related questions.